Thanksgiving temperatures will be in the mid 70s this afternoon. 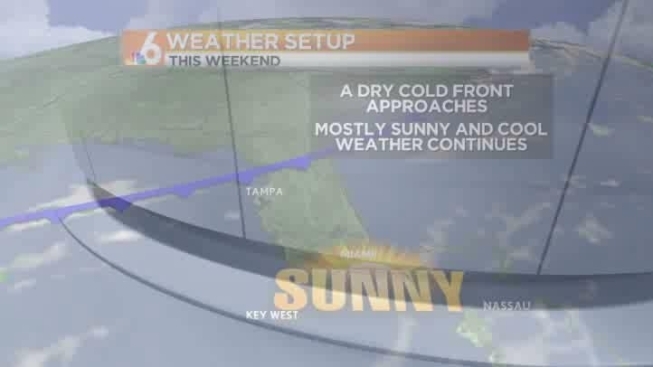 Morning Forecast -- Nov. 23 -- 7:30 a.m.
Cooler weather made its way to South Florida just in time for the Thanksgiving weekend. Temperatures began in the upper 50s but are expected to reach the mid 70s by the afternoon. Plenty of sunshine is also in today's forecast. A breezy north wind will be present through the day at 15-20 mph. Tomorrow's Black Friday forecast is also cool and sunny, and dry weather is expected to continue through the weekend.